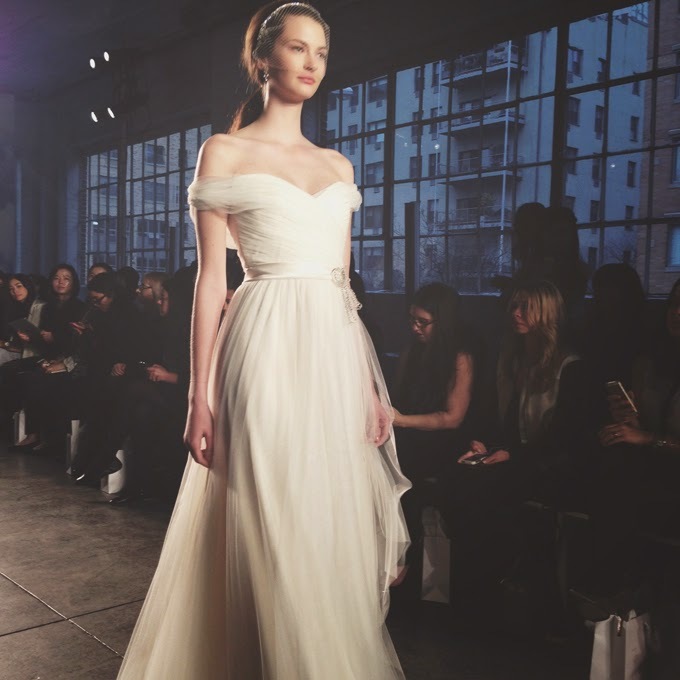 Check out the latest trends in bridal gowns for this spring and summer! When it comes to wedding dresses, keeping up with the latest and greatest trends can be difficult for many brides. 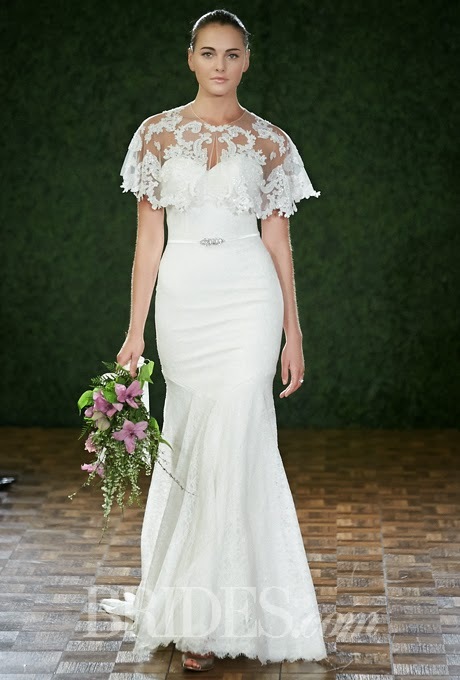 That is why our team at Fab Fête Event Planning Boutique has decided to highlight some of the most prominent trends for bridal gowns in spring/summer 2015. Many trends originate from either looks featured in movies, runway designs or any other pop culture references. Here are a few trends that we wish to share with our brides. 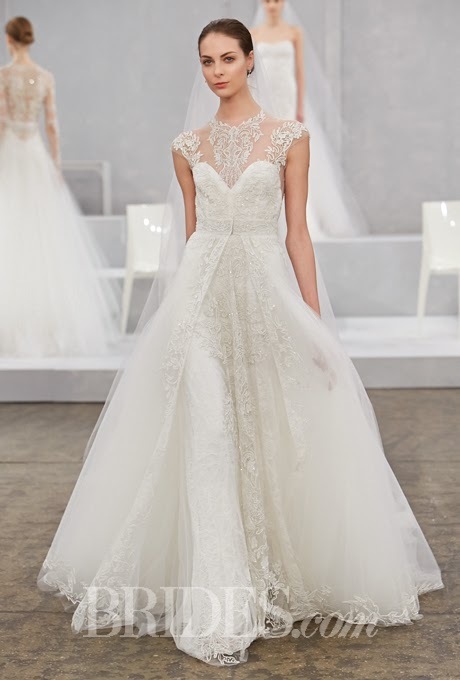 The high neckline look is classy and elegant and has been making appearances on the runway, which has definitely impacted bridal gown designers greatly. Another look more and more designers are using is the off the shoulder sleeves. Finally, brides may notice that many bridal gowns will have a distinctly unique design in the back and/or a low back. All of these looks are sophisticated and an exceptional trend for 2015. 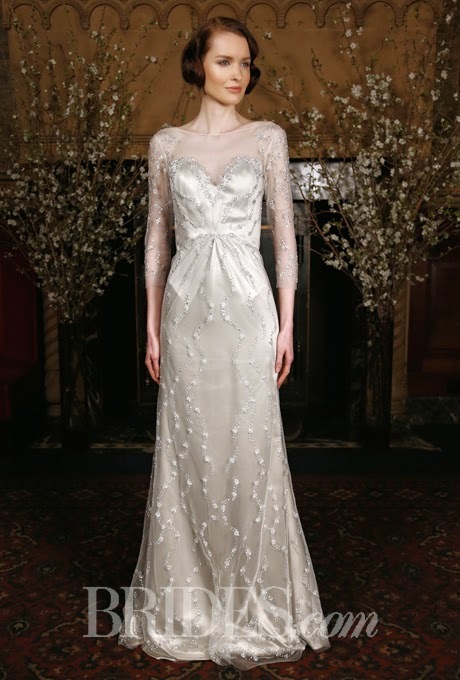 Vintage gowns are being featured more and more predominantly throughout this year’s collection as well. 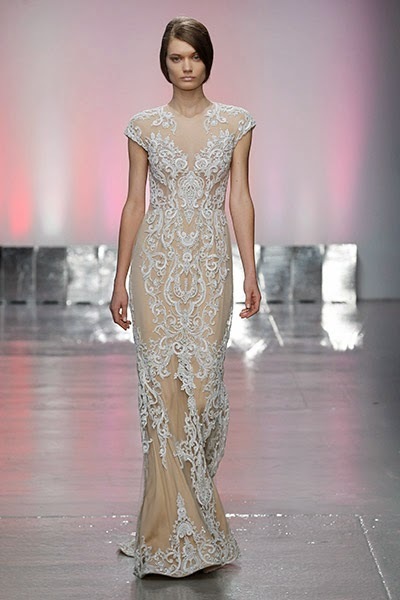 Imitating styles of various eras such as the 1920's and 1930's, these gowns are simply stunning! Modern brides will even dare to not wear a dress at all! I like to call this the two piece trend. Instead of a gown, brides might choose to wear an outfit, typically consisting of a ball gown skirt and a crop top as seen below. Finally, a big trend for this year would be the use of capelets and capes. After the craze around the movie, "Frozen," had introduced designers to the idea of additional fabric to duplicate the cape look as seen in Elsa's famous show stopping gown. Many brides are ditching the traditional look for something a little more daring. So why not check out these trends and take a chance? It’s your wedding day and we want you to feel beautiful and elegant. Hopefully these trends have given you some inspiration and guidance on how you wish to look on your big day! From the fabulous wedding planners at Fab Fête Event Planning Boutique, we wish you good luck in finding the perfect bridal gown for your wedding day!